The Barne Society are delighted to announce the release of the debut EP of Emma Kullander. ‘Unveiled’ was recorded in The Barne Studio & written by Emma, has incorporated the help of some familiar Barne faces with Elin Ronja Blomberg, Brian Docherty, Jim McGoldrick, Stuart Kidd & Marco Rea all playing on the recordings. Officially released on 15th November 2014. 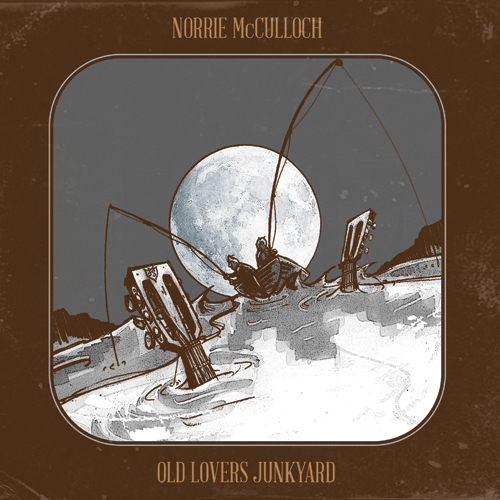 Old Lovers Junkyard is the debut album, on The Barne Society label, of Scottish singer songwriter Norrie McCulloch. The songs have inﬂuences of country and folk music from the 60’s/70’s such as The Band/John Martyn and also a more modern alt-country sound of acts such as Uncle Tupelo, whose album March 16th-20th 1992 McCulloch cites as being a deﬁning inﬂuence on his musical style, along with earlier artists such as Townes Van Zandt and Gram Parsons. McCulloch brought together friends and frequent collaborators to contribute to the recording including multi-instrumentalist Dave McGowan of Teenage Fanclub/Lightships, guitarist Angus Braid and harmony duo Marco Rea and Stuart Kidd of The Wellgreen. The result is an album of tasteful subtleties: warm harmonies, pure sounding acoustics and sparkling steel guitars played over songs that introduce themselves like old acquaintances. Though much of Old Lovers Junkyard was recorded using a full ensemble, McCulloch’s live sets are often performed in an acoustic solo or duo mode alongside Braid and/or McGowan with backing of national steel guitar, mandolin and double bass. Songs such as Helen and the closing track on the album Still Looking For You which calls to mind Harvest era Neil Young were recorded entirely live and depict McCulloch’s natural and stripped down approach beautifully. The Barne Society are proud to host the third instalment of our increasingly popular Webstreams. On Saturday, 22nd February, you will find us in The Barne featuring live music from The Wellgreen, The Wayne Devro Set, Norrie McCulloch, Emma Kullander, Robbie MacInness, Lewis Wilson plus many more friends. Norrie also gives details of his upcoming album, recorded in The Barne Studio, which will released in March, on the podcast. The Barne Society are proud to host yet another global internet even that we can invite all of our friends to. This Saturday, 18th January, you will find us in The Barne featuring live music from The Wellgreen, The Wayne Devro Set, The Fireside Sessions, Emma Kullander & friends. Come join us & interact with us on Twitter & Facebook during the show. It’s the gig that EVERYONE is invited to! The long awaited follow up to 2010′s ‘Wellgreens’ is here! ‘Grin And Bear It’ will be The Wellgreen’s 2nd release on their own label, The Barne Society. Written, recorded and produced by Marco Rea & Stuart Kidd in their spiritual home of The Barne, the album comes to you right before they embark on another year ending UK tour with Welsh Pop Wizard, Euros Childs. Limited to 300 copies, you can pre-order ‘Grin And Bear It’ now on The Barne Society website, ahead of the official release on Monday 28th October. All the Barne’s goings on will come through here. From what we’re listening to on the blog page to what we’re releasing on the shop page. You can currently purchase our latest release ‘The Barne Society Compilation – Volume I’ for 5 of your hard earned pounds plus our previous releases ‘Wellgreens’ CD album & Store Keys/The Wellgreen double A-side 7″ vinyl. We’ve had a pretty great month with the launch gigs and the compilation release but this is just the start….